Supreme Court nominee Brett Kavanaugh declared in a televised interview that he never sexually assaulted anyone in high school or at any other time in his life and didn’t even attend a party where one accuser said he assaulted her. WASHINGTON (AP) — Supreme Court nominee Brett Kavanaugh declared in a televised interview that he never sexually assaulted anyone in high school or at any other time in his life and didn’t even attend a party where one accuser said he assaulted her. It was an extraordinary appearance for a nominee to the nation’s highest court, one no such nominee had done before. It took a page from the playbook of the man who picked Kavanaugh for the job, President Donald Trump, using his news organization of choice, often a sort of cheerleader in chief for his administration. 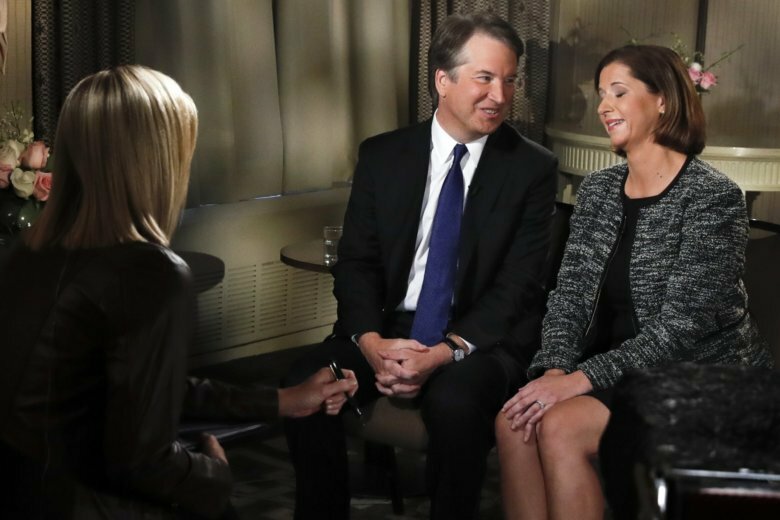 It’s rare for nominees to the Supreme Court to give any interviews at all. Russell Wheeler, an expert on the judicial selection process at the Brookings Institution, said he was unaware of a similar media interview by a Supreme Court nominee in the past 100 years. Trump and Senate Majority Leader Mitch McConnell say they are determined to get Kavanaugh on the court, calling the allegations against him false and politically motivated. Kavanaugh was defiant as well.